I’ve walked past Sugisawa Japanese restaurant many times but somehow, I’ve never noticed it. On the outside, the Japanese restaurant at Robertson Quay looks very plain, which explains why I don’t remember seeing it before. Ju suggested going there after reading raved reviews about the food. We had lunch there last week and we left the place very satisfied. I’d definitely recommend Sugisawa Japanese restaurant for good Japanese bento sets at affordable prices. The menu has a good selection of Japanese food ranging from affordable bento sets ($15-22), good quality sushi ($15-25), and fresh sashimi ($13-40). 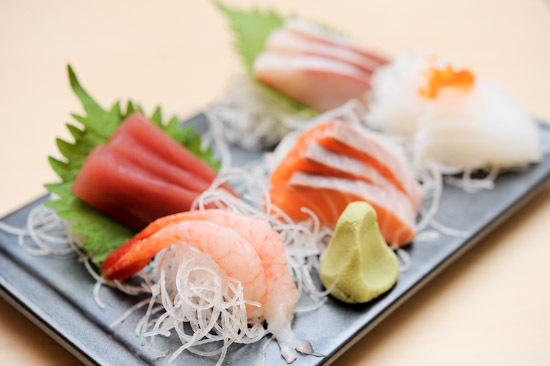 We shared the Sashimi moriawase ($25) which comprises an assortment of fresh sashimi. It was excellent value for the quality of the sashimi. I was tempted by the Yakiniku bento ($15) and Ebi Fry bento ($16), but eventually I decided to stick with the Tonkatsu bento ($15). The tonkatsu was fairly decent, not like those that you can get from tonkatsu speciality restaurants, but still good enough for me to satisfy my craving. 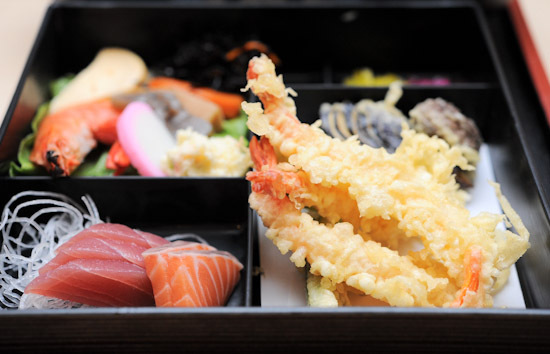 The Tempura bento ($18) that Ju had took our breath away when it arrived at the table. Not only do they look good, they taste great too! Sugisawa Japanese Restaurant at Robertson Quay has very good value for money bento sets. 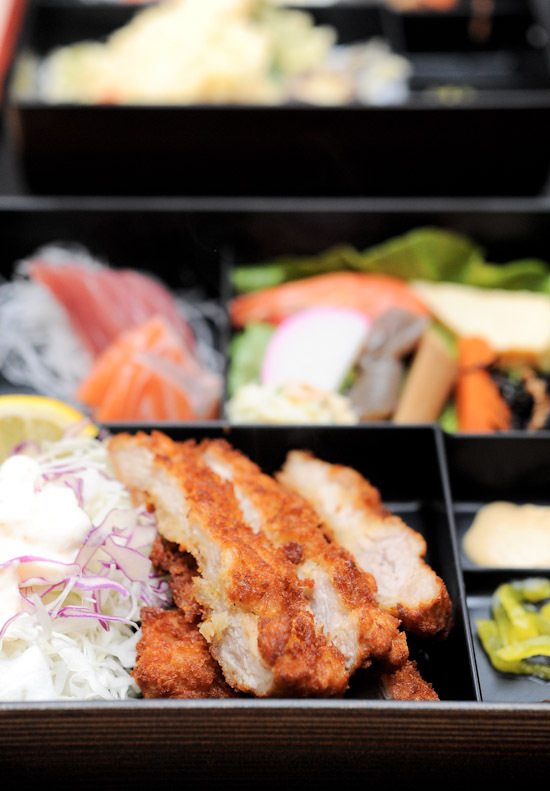 Like other Japanese restaurants, the bento set is inclusive of rice and miso soup. But what makes Sugisawa different from the rest is that the portions are really generous and they even come with sashimi. One thing to note, though. The service isn’t exactly friendly, and depending on how you see things, it can be quite intimidating. That said, Sugisawa is one of my new favourite Japanese restaurants. I’m not sure about you, but there’s just something about Japanese food that makes me happy. Love sugisawa personally as well! U can try out the grilled salmon bento from the bento menu as well! Their mixed veggie tempura is good too… It is making my mouth to water by the mention of it. I always end it with a dessert from Laurent Bernard chocolatier just opposite sugisawa. their chocolate ice cream is good in my opinion, so does the other flavours! Was a good meal, wasn’t it? Actually, the auntie wasn’t rude, she was just very abrupt in her ways and didn’t smile. But she did thank us a few times when we paid the bill. Still, I agree it’s a far cry from ‘authentic’ Japanese service! Lol.